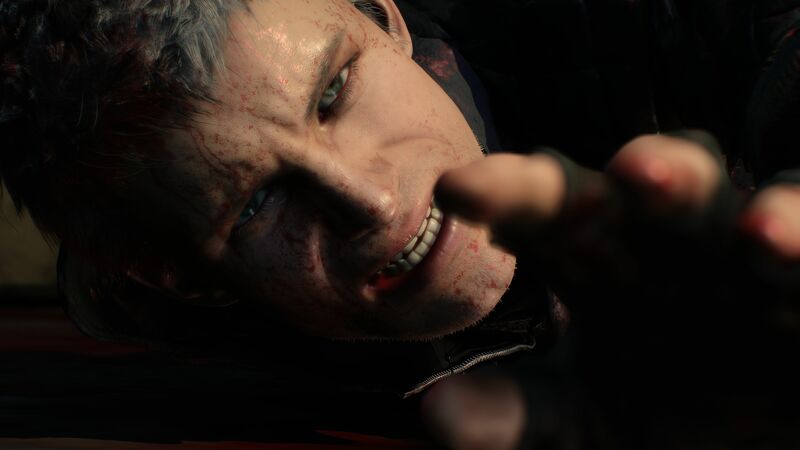 We already knew from previous announcements that Devil May Cry 5 was headed for an early 2019 launch, but an intense gameplay trailer fresh out of gamescom 2018 has laid out the final release date. Featuring Nero, Dante, and a still-mysterious third character, Devil May Cry 5 will launch on March 8, 2019. Direct feed footage of the new gameplay trailer shows Devil May Cry 4‘s Nero going all out in combat with various new and old enemies. There are a few sneak peaks at bosses, cutscenes, and new abilities, including what looks like a dodge move. After slicing a car in half and stylishly not being run over by his own Devil May Cry van, we switch to a full reveal of Dante. Things get even more over the top, with Nero’s detachable robot arm being used as a rocket-propelled skateboard. Dante appears on the motorcycle he was riding in the original announcement trailer, using it in what looks like in-game footage to flip around and smash into enemies. Then he splits it in half and uses it like two giant, saw-bladed swords, then snaps it back together and immediately zooms out and through another baddie. Then he smirks about it, because he’s Dante. Play Devil May Cry 5 on the PlayStation 4, Xbox One, and PC on March 8, 2019.